Panarama Route, Big Five Safari’s, Kruger National Park, Elephant Whisperers, Shangaan Cultural Dinner, Cape Town, Cape Winelands. On arrival at OR Tambo, Johannesburg’s International airport, you will be welcomed by one of Finding Africa’s representatives. Who will provide you with all the documents necessary for your journey and assist you with your car hire. Leaving Johannesburg, drive toward the little town of Ohrigstad, where you will be spending your first night. Enjoy the rest of the afternoon relaxing in the peaceful surroundings of Hannah Game Lodge. Drive to Kapama Game Reserve and check-into the Lodge. The 13 000 hectares has all the big game of Africa (including the 'Big 5' - lion, leopard, elephant, buffalo and rhino) with 42 mammal species and approximately 350 bird species. 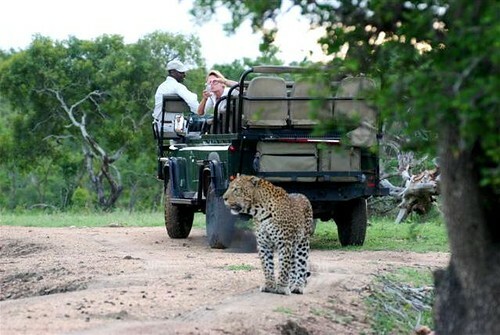 In the late afternoon embark on your first African bush Safari in an open 4x4 vehicle with you tracker and ranger. Expect a wake up call at between 5am and 5.30am and gather for tea or coffee and rusks before heading out at first light. If you are lucky, the big cats will still be around after their night of hunting. There are also many other species to be seen, large and small, as well as fascinating plants and colourful birds. Enjoy a relaxing lunch and time at the pool. Once again, assemble at 3:30pm for high tea and the evening game drive. After your second morning game drive and a delicious breakfast, depart Kapama for the town of Hazyview. Once you have checked into your accommodation, take a short drive to the Phabeni Gate and enter the world famous KrugerNational Park. Here you will do a self drive safari in your hired car. Later, return to your lodge in Hazyview for a feast of Culture with a night of Shangaan dance, song and unforgettable African Banquet, where a wide selection of unique mouth-watering dishes awaits you. Today starts with the unique experience of interacting with six African elephants. Guests can saddle-up and enjoy an elephant ride; meandering down shady paths and enjoying the view from these magnificent creatures. Drive to Nelspruit to return your hired car and catch your flight to Cape TownInternationalAirport. 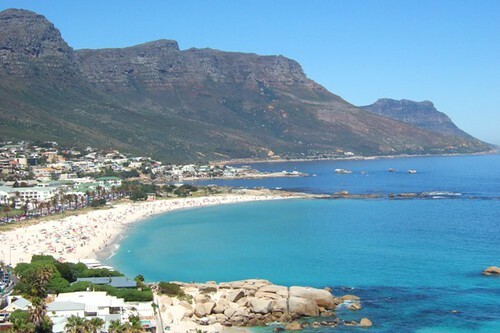 Spend the two days visiting the Mother Cities famous attractions such as TableMountain, KirstenboschBotanical Garden, Castle of Good Hope, V&A Waterfront, Cape Point, Simons Town and RobbenIsland. Experience the Capewinelands, by discovering the rich countryside of the region with a wine tour guide. They will take you to five world class wine estates along the various Wine Routes, having lunch and sampling the produce at an informal wine tastings. On your last day, take your time to do some shopping or simply laze on one of Cape Town beautiful white beaches. The rate includes all accommodation mentioned in the itinerary. The final price will take into account the availability of the services indicated on the itinerary. The price is based on a per person sharing basis and prices are subject to change without prior notice. The rate excludes car rental, international and domestic flights, medical and travel insurance, certain meals, all drinks, gratuities and portage. Bourkes Paotholes, along the scenic Panorama Route.